I’ve taught two iterations of General Assembly’s DC Data Analytics course, a 10 week part-time course covering data analysis and visualization using Excel, SQL and Tableau. A big component of the course are the three projects which the students complete, which I and my fellow instructors grade. I created a Google Sheet for each class to facilitate the marking process. The final step was to take the scores and feedback in the Google Sheet and copy-paste it into each student’s Slack channel. This was a laborious and error-prone process. Hence, I decided to build this tool to automate the whole feedback process. 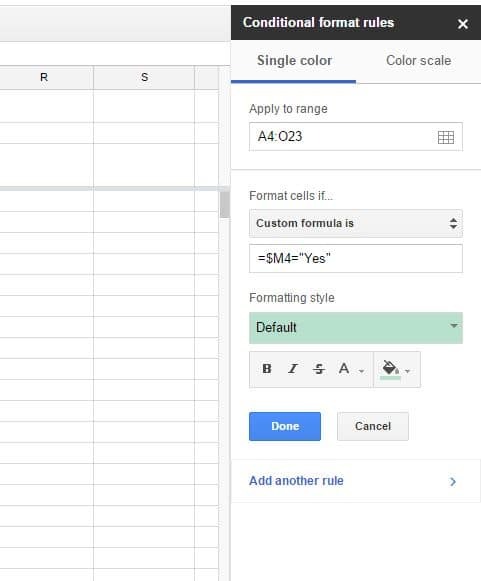 In this post, I’ll show you how to build a scoring template in Google Sheets, which sends scores/feedback directly to students via email or Slack, without ever having to leave the Google Sheet. It’s super efficient and quick way to send grade and give feedback. Grade all of the student submissions in the Google Sheet per the grading rubric. Select the students I want to send feedback to. Select the channel by which I want to send feedback, in this case by email or Slack message. Click Submit and all the selected students will receive their feedback immediately, with no manual copy-pasting or emailing required. I setup my Google Sheet with two tabs, although you could simply stick with a single grading sheet. I wanted to have a “working” sheet for data entry (scoring) that fed automatically into a front summary sheet, which only displayed total scores and had the Slack/email control options. There’s nothing fancy going on here, and I added color coding to distinguish the sections. It’s a simple spreadsheet for data entry, although I could have potentially linked this to a Google Form and conducted the marking that way. You can see that I’ve recorded various individual scores for each section, and then combined them into a total score for each section, which carries through to the Summary sheet. The summary sheet has the student names, total scores and feedback, and some controls to send the feedback and choose what channel to use. Submit (in column M): Here I used data validation to create a Yes/No drop down menu, to indicate whether you want to send feedback to this student at this specific time. 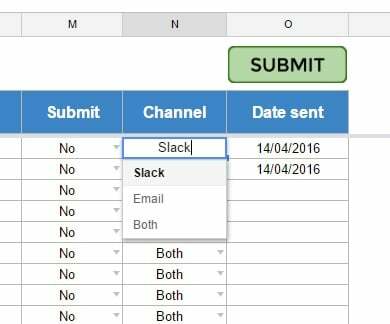 Channel (in column N): Again, using data validation I create a drop down menu to choose which channel you want to send a message through: Slack, Email or Both. Date sent (in column O): this column is blank, and gets filled in automatically by the program when a communication is sent. Next I added conditional formatting, to highlight every row that is selected for submitting (i.e. has a “Yes” in column M), to make it clear which students will and won’t receive feedback. 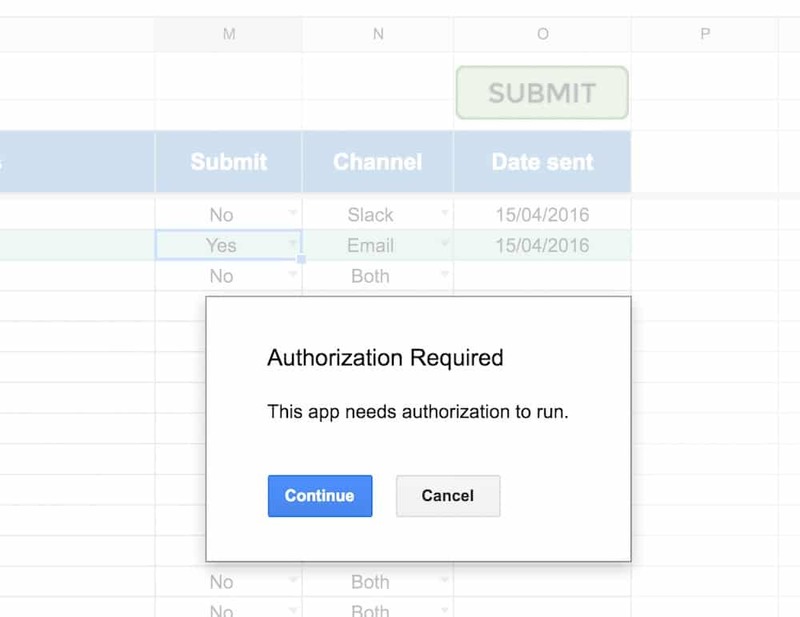 The last thing to do in the Google Sheet is to add that Submit button. This is a drawing that we’ll eventually assign our program to, so that when it’s clicked the required Slack messages and/or emails are sent to the selected students. 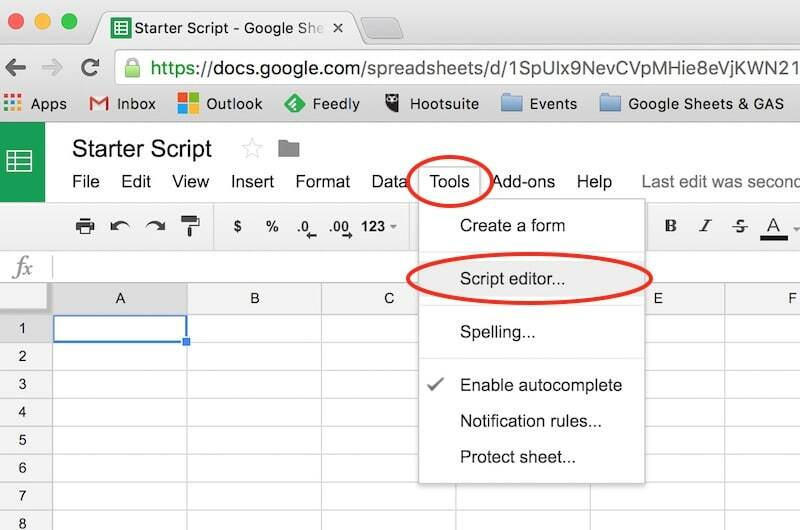 Click on Save & Close when you’re done and the button will be inserted into your Google Sheet. You can resize and move the button to fit your needs. We’ll revisit later, once we’ve written some code, and connect the button to program so something happens when it’s clicked (at the moment it does nothing). That’s it with the Google Sheet for now. You can make a copy of the Google sheet here and use that as your template, then add the code shown below. If you’re new to Apps Script, you may want to check out my previous post: Beginner guide to Apps Script, which will show you the ropes. There are three parts to our program: i) a function that gets the data from our spreadsheet and checks which students and channels are selected, and then calls part ii) a function which sends out emails, and iii) a function that sends messages to Slack. In the code editor window, clear out all the existing default code so you have a blank window, then paste in the 3 parts of code below. This is the main function, the engine, which selects the students’ data, sees which students have been selected, what channel to use, and then requests the program send emails or Slack messages as required. It grabs all of the relevant student data from the Summary sheet and puts it into a variable called “range” (lines 3 to 7). It loops through this entire range, student by student… (lines between 13 and 37). …at each iteration of the loop, it checks if that row of data (an array, corresponding to one student) is marked with a “Yes” in the Submit column (line 14). If it is “Yes”, then we proceed on to the switch statement, which looks at whether I want to send feedback to the student via a slack message, an email or both (lines 17 to 32). Based on my choice in the Google Sheet, it either calls the sendToSlack function (which will send a Slack message) or the sendEmail function (which sends an email) or calls both (which sends a Slack message and an email). Finally, a date is added to the Google Sheet in the final column of the Summary sheet, against any rows for which we have sent Slack messages and/or emails. If the loop finds a “No” at the If check (item 3 above), then it simply moves on to the next student, and no communications are sent. Firstly, a big thanks to Ivan Kutil’s excellent post on how to integrate Apps Script with Slack, which helped me enormously. There are a few steps here to set this up. First we need to grab a unique webhook for our Slack team. This is a url (an endpoint) we can send data to (in JSON format) that will get posted into our Slack channel. Make a copy of your webhook and add it to the code below (where the XXXXXXX’s are in line 8) and then paste the whole block of code to your code file in the script editor window. Finally, I specified an icon to show next to the Slack message, in this case an inbox emoji, on line 25. Note, to get new lines in Slack, we use the \n command. 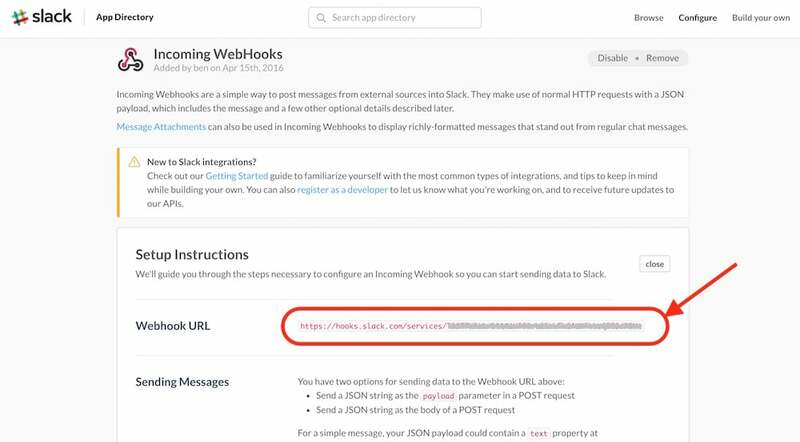 Next up I specify the options for my request, on lines 28 to 32 – it’s a POST request, sending a packet of JSON to the Slack webhook. Finally the last line actually sends the message to Slack (line 34). 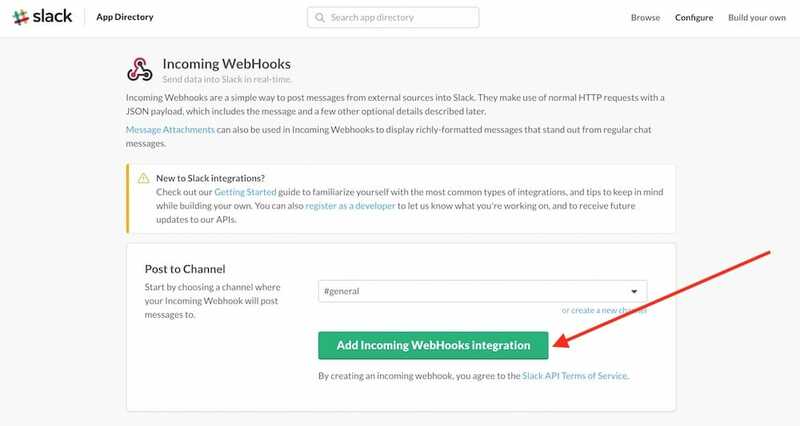 It makes a request to fetch the url (our Slack webhook) with the options we specified (POST this JSON data to a specific Slack channel) using UrlFetchApp service. An HTTP response is returned, which is an “Ok” in our case. 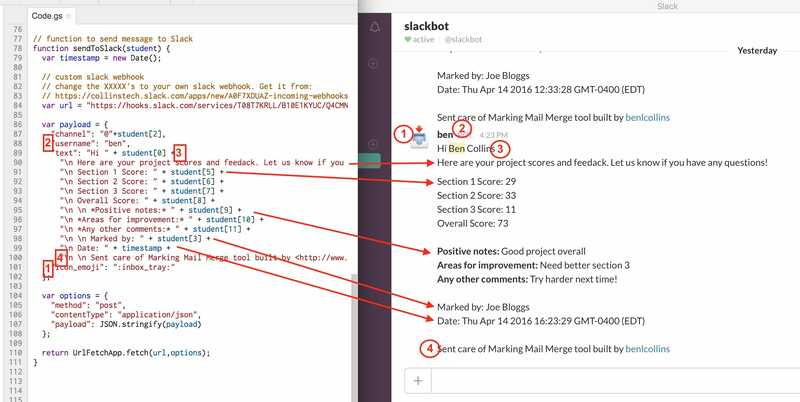 "<br><br>Sent care of Marking Mail Merge tool built by <a href='https://www.benlcollins.com/'>Ben Collins</a>"
This function has some similarities with the Slack function. It creates the body of an email on the fly, based on the information it is given (a particular student’s data). I use the MailApp email service (line 4) within Apps Script that allows users to send emails, with complete control over the email contents. Then I build up the email piece by piece, under the htmlBody key. This is now HTML code so I use <br> to insert line breaks. The entire code can be seen here on Github. That’s it, there’s no need to add any parentheses. Click Allow to run your script. I welcome any comments or questions below. What other additions, modifications or improvements would you like to see? this is extreme good example to connect sheet to slack. Could you help with code to run / command from slack to get data from excel? Thanks very much for sharing this with everyone, it’s indeed very useful. However, i’m facing a small problem in my implementation. I would like the bot to share the results in a pubic channel, but i can’t find a way to use the @ sign to tag someone in the channel. 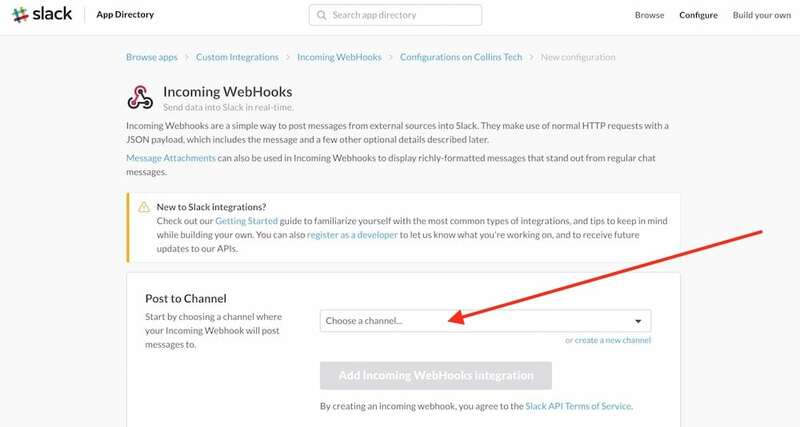 If I write and @ in the script or add and @ to the name of the users, slack will not tag the user and the user won’t see a notification in the channel with (1). If you could help with this issue it will be amazing! PS: your ebook is very useful as well! As a workaround, you could just send them a copy of the message to their own channel too. I may well revisit this Slack/Sheets integration bot in 2017, so keep an eye out. Thanks very much for your reply! However, do you know which would be the configuration to send the information to each personal channel of every different user? Great article! 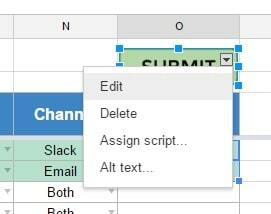 Any tips / online resources on using slackbot or slash cmd to post info onto Slack from Google Sheets? Hi from Colombia. I’m new in Apps Script and with the resources that i found in your page i can say that i am a lucky man! I need your help. 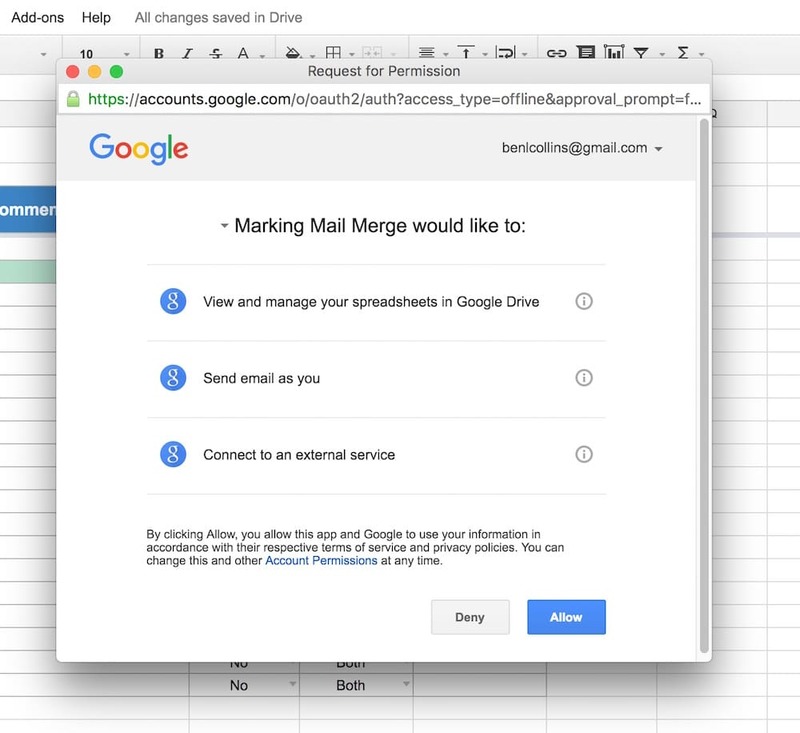 I’m trying to use this template to send emails from google sheets, but i need to add a file that be into folder in Drive. I have each file’s names. One different for each line. For example in this template: We have a Student Name 1, and the file has the same name, but i need a script that add the file for each email when i do click on submit. Hi Ben, it works perfectly. Great article. I’m trying to send the “Comments” as a hyperlink with different sources. I figure for a static link I can just add it in the html. But I will like for a link that I make with the data. I tried making the cell content as a Hyperlink as well but it didn’t send in the email. If you have any suggestion, it will be super appreciated. Not having any luck with this even after repeating each step multiple times…I keep getting a ‘Server error occurred. Please try saving the project again.’ error message. I am getting this error when i run the script for the slack option. Hi, this is really helpful thank you!! Do you know how to reset the yes/no after the alerts have been sent? Love this walk through, it’s extremely well thought out and very helpful! However, I was hoping to modify your example to send multiple rows in the same email, where I have multiple rows for the same student? Sorry, must have missed your comment originally. You could definitely modify this to work with multiple lines. If it was always a fixed number of lines (i.e. each student had say 3 lines) then it’s not too difficult, however if it varies for each student then it would be more complex as you’d have to identify where each student stops and starts. The single line is identified by the range[i] in the code, where i denotes the row number, so you’d need to change this to grab however many rows you wanted, and then pass all of them through to the email and slack functions. Let me start by saying thank you so much for putting together this meticulous well thought out guide for us fellow code-y humans. I tremendously appreciate the time and effort you’ve put in. What if you have a group Project and so you want your code to create a channel with all the group members so as to send them the feedback together, how would I go about creating the POST request for creating a channel and adding members? Hi really interesting idea. It’s kind of an integrated Mail Merge isn’t it. This has potential to be an amazing marking aid for teachers – if you created a comment box in a dropdown list, and then had option printing those results (as an alternative to email/slack!) it would save teachers hours of writing student books. Do you think that is possible? THank you! Apps Script runs on the Google Servers so doesn’t have any access to local network printers, so you can’t directly print from your apps script. What you could do however, is have an option to email yourself (or a colleague or whoever) a pdf copy of the Sheet which you could then print very easily. hi, how do i extend the scipt to more than 20 students, say i have 300 students? thanks. i really don’t know how coding works but i really believe your system will make my life easier. You are great man! TypeError: Cannot read property “1” from undefined. I copied your GitHub script as is and just marked the first row as “Sumit=yes” “Channel=Email” and usd my own email address for the student.